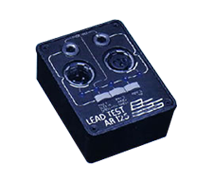 An invaluable tool for those involved with interconnecting audio leads and electronic equipment. Simple and easy to operate giving clear and unambiguous indications of the wiring in any 3 pin XLR style or mon/stereo 1/4" inch jack style connectors. 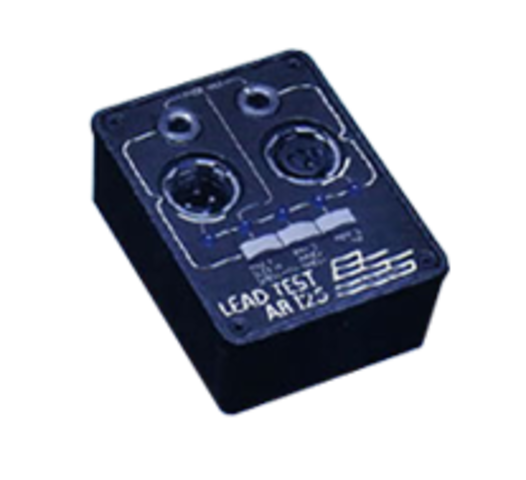 The fuse test facility allows the integrity of small fuses to be inspected without the need for a resistance meter. Tests for connection of any pin to XLR shell. Tests for connection of CLR shell to CLR shell without connection to any pin. Accepts both Post Office and American size 3 pale jack plug. Fuse test facility for 20mm, 22mm and 1¬º" sizes. Top mounted sockets, on heavy guage steel panel, allow unit to be used as "work bench" for supporting connectors during repair. Rear mounted XLR sockets with shell contact fingers. LED indicators for long battery life.